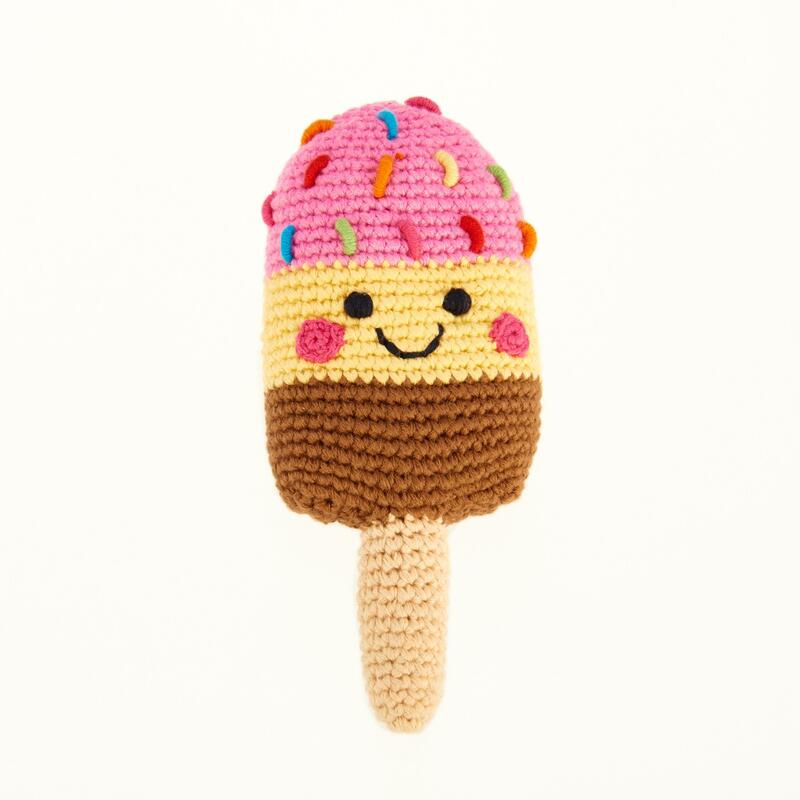 This fabulous pink, yellow & brown ice lolly rattle looks good enough to eat. An ideal first play food toy for babies and toddlers. Fair trade and handmade from cotton yarn, this brightly coloured lolly is designed to stimulate and engage your baby with contrasting colours, tactile crochet and a gentle rattle.